Content is everywhere. Stats scream out from across our feeds, telling us variously that the Gen Z engage with 10 hours of online content a day and that having a content marketing strategy can increase traffic by 142%. As a marketer, you know that sharing content on social media is an essential part of your effective content management strategy. But how do you keep up with the demand if you’ve got a limited budget or time? The answer is setting up an efficient content curation process. In this guide, we’ll take you step-by-step through why you need it (so you can justify the budget allocation!) – and we’ve got 19 actionable tips to help make content curation a breeze. Firstly, let’s start at the beginning. What do we mean when we talk about ‘content curation’? Think about it. A curator in a museum organises a wide range of artefacts to display them in the most meaningful way to the public. And it’s the same if you curate content. You are essentially sifting through all the jumble of content out there to find the stuff that your target audience wants to know about. Once you’ve found something you think your target audience will find useful, you publish it and share it. Why is content curation an important part of my content marketing plan? It establishes you as an expert in your field. You’ll become a go-to source for information on your chosen field. It gets your brand out there in front of your audience more regularly. This can help you to grow your network and ultimately, your business. It is easier than creating your own content. Working out the ROI for your content curation is the same as the calculation for the rest of your content marketing strategy. It’s easier because there are no content creation costs to factor in. But you will need to identify how much time you spend finding appropriate content, the time spent to add your comments, and time to analyse the results. You’ll already know the value of each social media engagement. Analyse your engagements and the total value to your business and cross-reference that to the amount you’ve spent out. 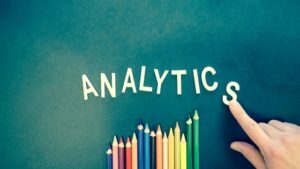 Sites like Sniply Analytics can make light work of measurement and give you something solid to report back to the budget holders. Sharing content helps to position you as an expert in your field. Sharing unbranded content shows you understand the key concerns of your audience and can help you build trust as there is no underlying sense of a hard-sell push. Regularly sharing useful information adds value to your target audience. They will learn that they can come to you for the information they need, and save themselves time. It also helps you to bridge gaps in knowledge in your own team, as you can share your curated content with them too. You can’t win if you don’t take part. For any business, the ultimate aim of any marketing activity is to sell products or services. You will need to see some pay off for any social media marketing. 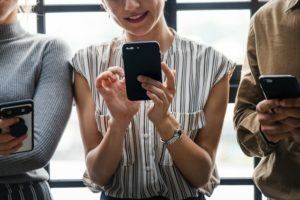 Arguably social media is not a great direct sales platform (although social media advertising might well be), but it is excellent for connecting with people. They say that you need to make seven touchpoints to make a sale – and social media is increasingly important as one of those touch points. For social proof, recommendations, building trust, offering a human point of contact with your company, it’s a soft sell, it allows you to create a drip of increasing awareness and trust with potential customers. According to Blog2Social, the average Facebook user creates 90 pieces of content a month. Most time and cash-strapped marketing departments can’t keep up with that. And in the 2016 CMI/MarketingProfs B2B Content Marketing Benchmarks study, 57% of respondents cite producing content consistently a pain point. Instead, carefully curating content gives you regular exposure but for a much lower investment of time. How do I curate content effectively to increase sales? So you’ve decided that content curation is going to be part of your strategy. What next? How do you get started and what do you need to look out for? Follow our 19 essential tips below to discover exactly what to do. 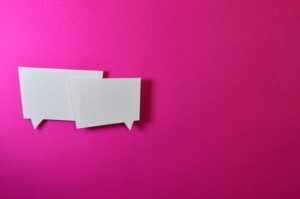 The idea of content curation is you’re sharing something – whether it is information or simply something to raise a smile – with your target audience. So the very first thing you need to ask yourself, is what does my audience want to read? It may take some refinement before you know exactly who that audience is and what they want to read about. But you should have a good general idea about the kind of stories you might want to share and make this your focus. Visual content is a clear leader on social media, as it’s 40 times more likely to be shared than non-visual content according to HubSpot. Whatever you’re sharing, make sure it is relevant. Or check out this list of 70+ places to curate content from Buffer. Sites like Feedly let you group content subjects together. It then identifies trending or new content for you. Or use Buzzsumo to see which articles are getting the likes and shares. It makes sense to reshare content that is already generating likes, as chances are your audience will also find this useful. And this will help to position you as a trend finder. 4) How do I share content? The thought of multiple platforms and a stream of copy to share might leave you feeling overwhelmed and in need of coffee (especially for those early morning tweets). Yes, you can post directly to each platform. But there is also a range of tools out there to help you schedule your social media. That means you can sit at your desk and plan the week at a time that suits you best. 5) What should does the perfect post look like? The perfect post will depend on who your target audience is and what they want. Eye-catching images, adding in hashtags, so your post is seen by as broad an audience as possible, and including a CTA with a link to your own site, are basics to include. And don’t dismiss emojis. 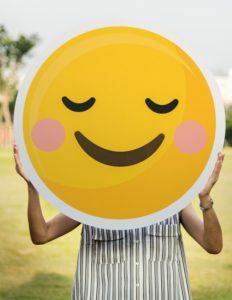 Posts with emoticons get as much as 33% greater engagements. Just beware that it suits your brand image. 6) What percentage of my posts should be original and what percentage shared? Hootsuite suggests a ratio of 40% created and 60% created content. But you don’t have to stick to this. See what your target audience responds to and adjust your created content v curated content ratios accordingly. Taking content curation at its simplest, you could share or retweet someone else’s news or information. At the very least that keeps the conversation going. And by doing even just that, and feeding the machine of social media with new content, you will attract new followers. But from that basic level of sharing you can start tweaking parameters. For example, how do you write a good comment that will get people to click the link? How do you hashtag it so that it gets found more easily? How do you create a link in your post that will drive traffic to your site? Those are the fundamental ways you can add value, but there are many more. You can pull out quotes and stats and turn them into shareable graphics that will ONLY link to your site and not the source. You can create digest posts of everything you’ve shared. You can summarise the essential points of the articles you’ve shared into list posts. 8) How do I write a good comment to get people to click the link? The key here is to add some value to the link you’re sharing. Give an opinion on the content. Or pull out one key takeaway from the content you are sharing that will whet the reader’s appetite. 9) How do I get my audience back to my site if they have clicked the link to a different website? Sharing someone else’s information may seem counter-intuitive. After all, you’ll be directing your target audience to someone else right? Well, as we’ve already established, sharing the content of others will help you to build your profile as an expert. But there are also other neat tricks out there to help you to recapture your audience, even if they click to a different site. Tools like Sniply let you automatically add your call to action onto the page you link to. So you can share the information but also stay in the face of your audience. Sniply also provides useful stats on clicks and conversions, which you can use to track the success of each post. 10) How often should you post information on social media? There’s lots of conflicting information out there on how often is too often. You may need to follow a trial and error approach to see what works for your audience. Remember that different platforms will work better with different numbers of posts. And don’t forget that quality and consistency is always essential. We’ve found that most experts out there seem to agree that three tweets, one Facebook post, and one LinkedIn post a day work. 11) What is the best time for sharing posts? Again, the best time to post will depend on your target audience. SproutSocial research suggests that the best times to post on Facebook are Wednesdays at 12noon and 2pm and Thursdays at 1pm and 2pm. The best times to post on Instagram are Wednesdays at 3pm, Thursdays at 5am, 11 am, or between 3pm and 4pm or Fridays at 5am. Meanwhile, the best time to post on Twitter is between 9am-10am on Fridays. Using hashtags can help to get your post in front of a larger audience on most networks, including Twitter, Facebook, and LinkedIn. It works because anyone who searches that hashtag or follows it will see your post. Looking at the hashtags used by your competitors can help you work out what hashtags might be useful to include. Or use a site like Hashtagify to find out what people are searching for. If you’re not sure if researching hashtags is worth the effort, the fact that, according to SproutSocial, tweets with hashtags had double the engagement should be enough to convince you. When you’re sharing content, don’t forget to credit your source – it’s just the right thing to do. People like visuals. Instead of just sharing content, you can pull out quotes and stats and turn them into shareable graphics that will ONLY link to your site and not the source. Sites like Crello, Canva and Snappa, are just a few of the websites out there designed to make this easy. One of the best things about curating content is you can use it to quickly and easily develop your own original content in the form of a list pot. Take all the links and your link comments and put them together into a list post. This gives your audience a handy resource of information. And it gives you an extra piece of original content for minimum effort. Successful social media is all about building relationships. Check your accounts daily if you can. Respond to comments, mentions, and messages. Even if it’s just a simple ‘like’ back. Sharing your content is just the start. Next, go back and look at the stats. Was the post shared? Was it liked? Did it lead to conversion? This information can help you to pinpoint what your audience is looking for. And that can help you to refine your curation process and make it even better. 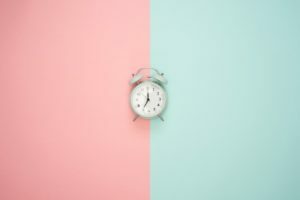 What time of day works best for your audience? Are any days of the week more successful? What format gets the most clicks? Infographics, articles, or video? Facebook Insights and your dashboard on Twitter are both free and straightforward to use. As well as evaluating the success (and we hope it’s always a success!) of each post, you’ll need to determine how your content curation is impacting on your overall strategy. 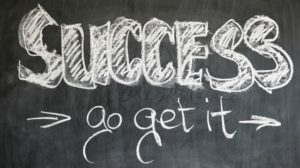 19) How do you measure success? With content curation, you need to think of yourself as a news source – you’re applying your expertise and choosing the best stories for your audience. Effective content curation can get your brand out in front of your target audience more often. And that can lead to more followers and ultimately more sales. That means that content curation is a valuable part of your content marketing strategy. Set aside time each day or week to follow the steps above to get it right. Or outsource your content curation to Big Star Copywriting. Let us know what you think of this step-by-step guide. Share your thoughts with us.